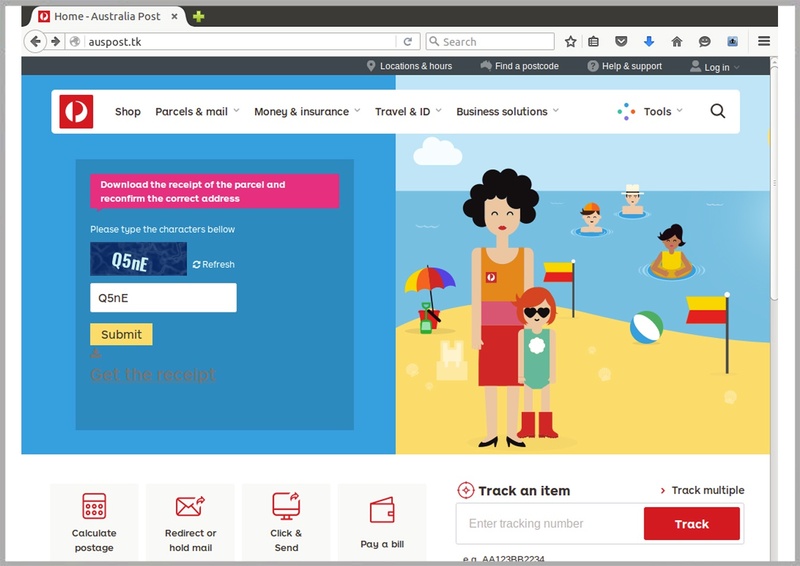 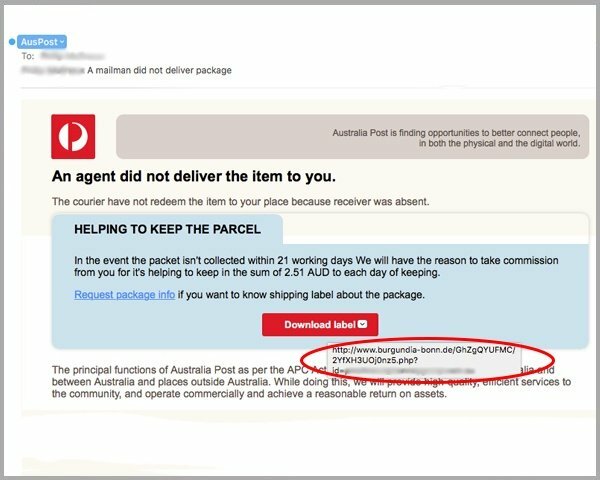 A massive run of scam Australia Post emails is bombarding inboxes with malware, with a clever ploy designed to evade virus-detection software. 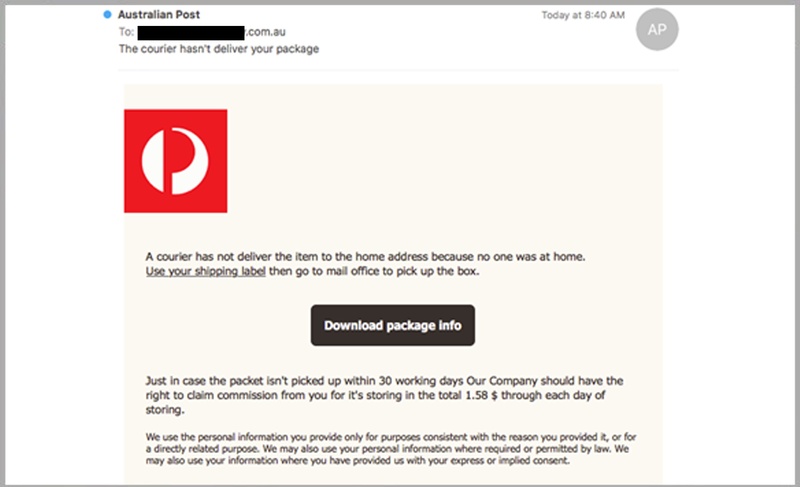 Poor grammar lets down a large-scale hoax Australia Post email that aims to install ransomware by stealth. 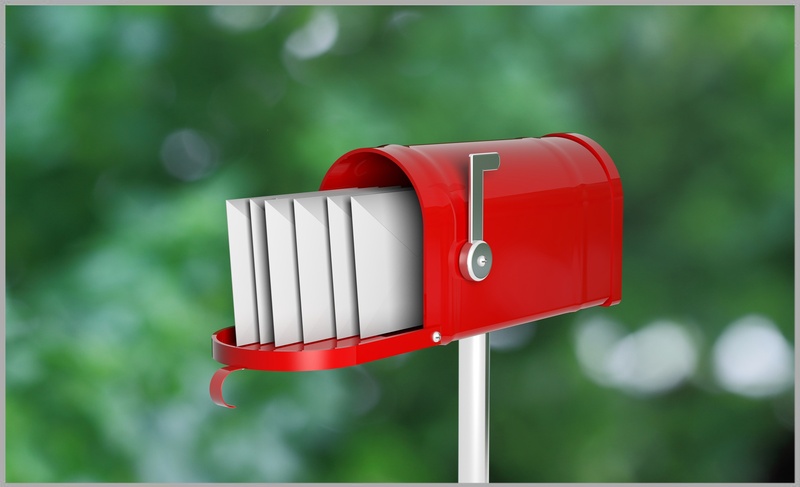 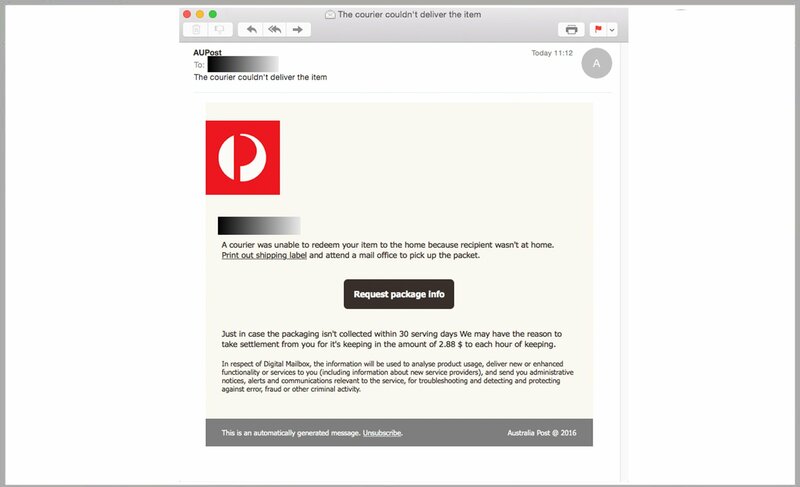 Over the course of 48 hrs cybercriminals have distributed an email scam targeting customers of Australia Post and the New Zealand Post. 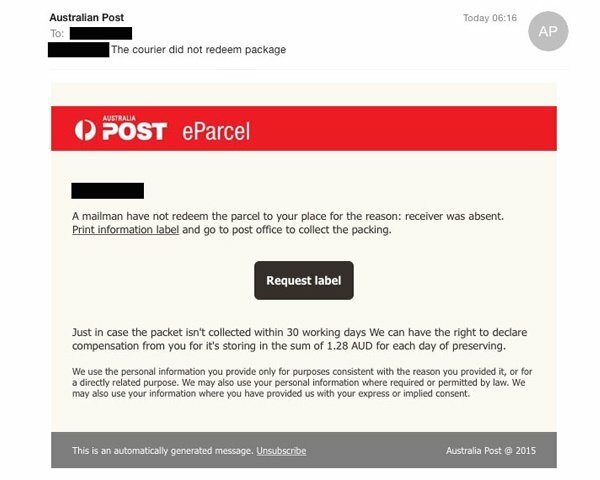 In a new email scam breaking early Monday, the same cybercrime network behind the recent AGL attacks appear to have moved their focus to Australia Post. 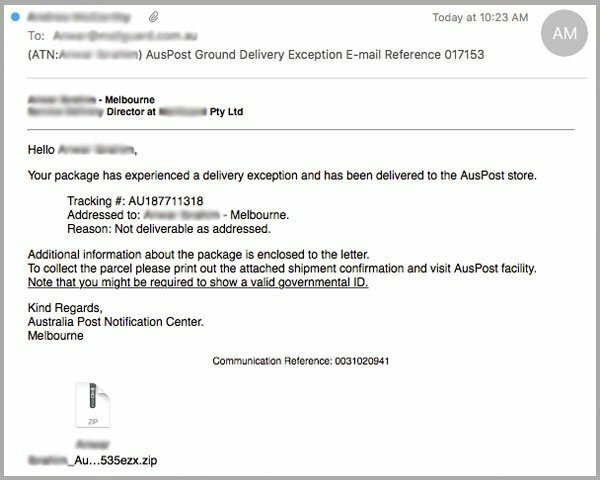 The email claims that a package was unable to be delivered because nobody was home, and asks recipients to click a link. 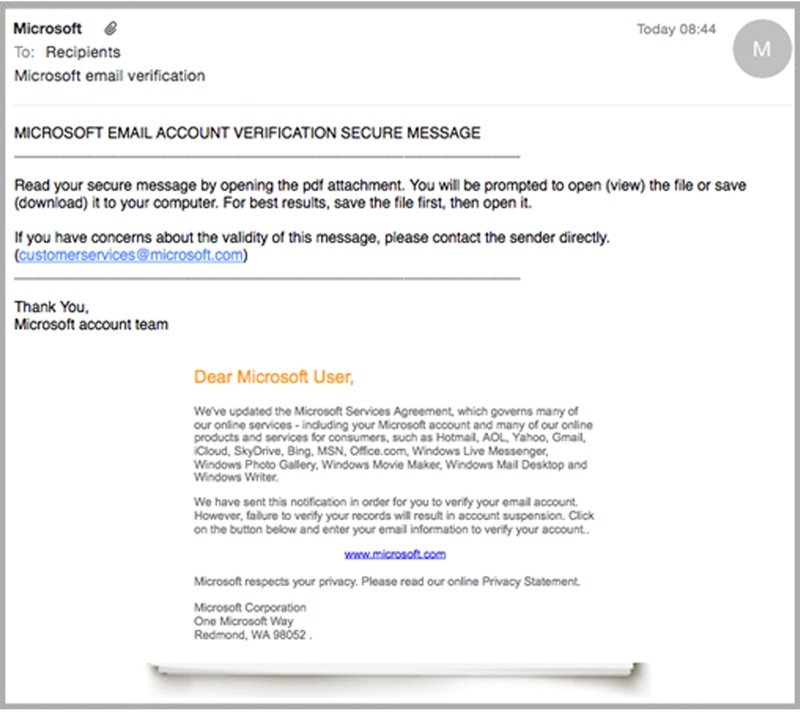 Over the past 24 hours MailGuard has blocked a number of high volume phishing scams that are targeting over 10,000 users at a time. 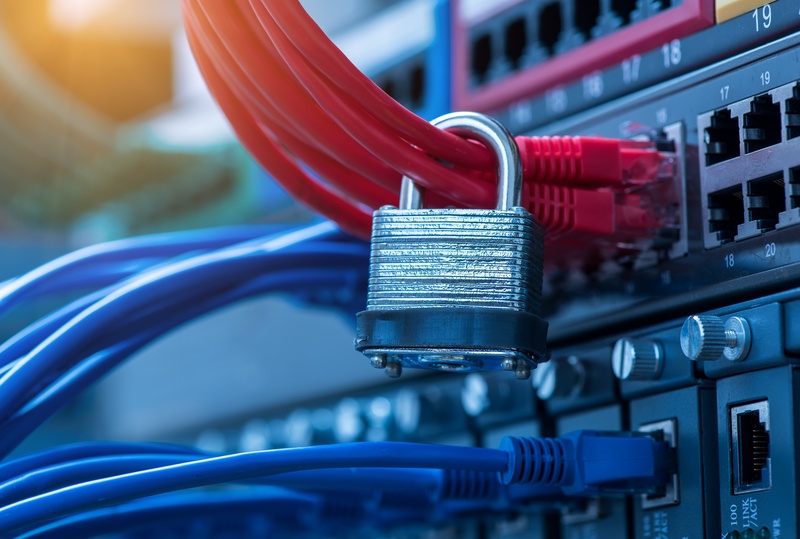 Many of these attacks are ongoing. 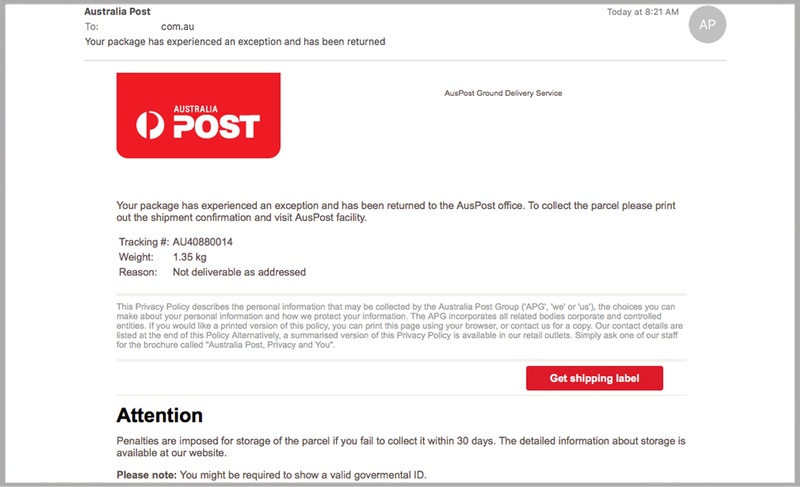 Cyber criminals have crafted an almost identical email to previous and very recent phishing runs impersonating AusPost. Any Australian who is receiving emails purportedly from Australia Post needs to be wary. 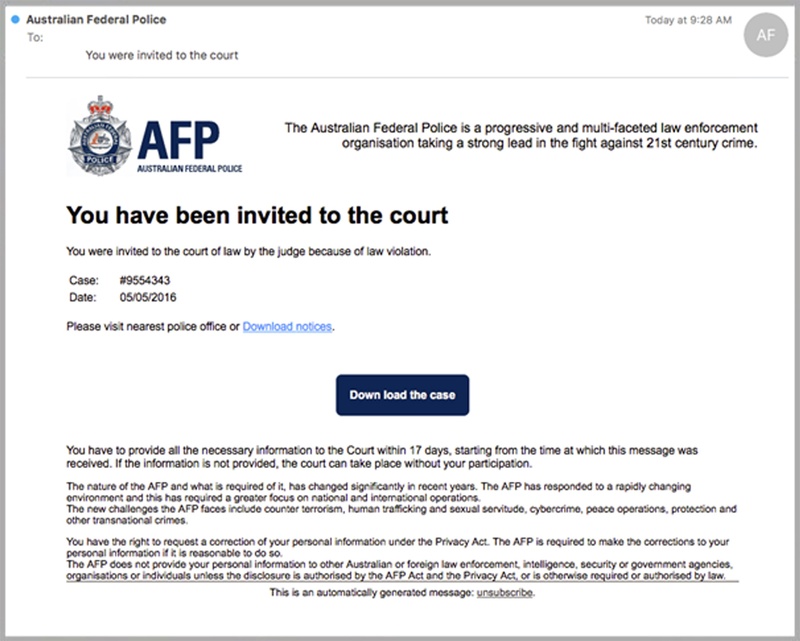 Yet another email scam has hit email users en-masse today. 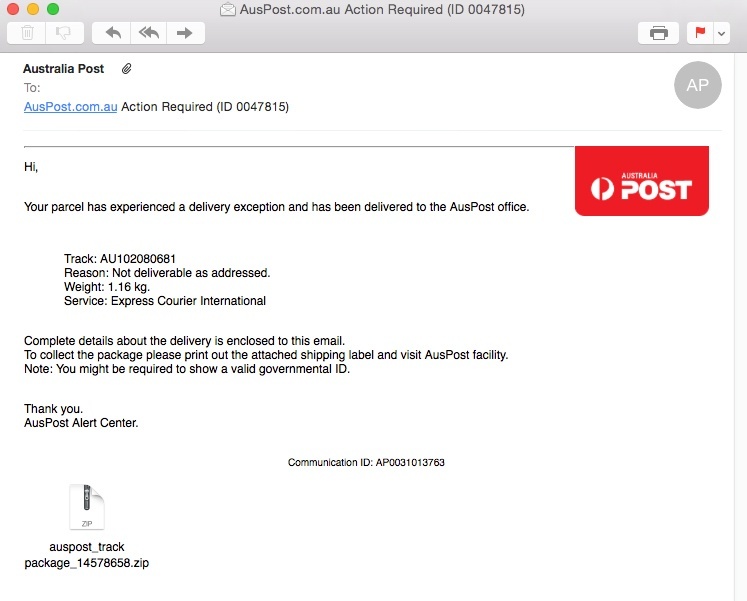 We have identified several new Fake AusPost emails as malicious and are urging people to be aware. 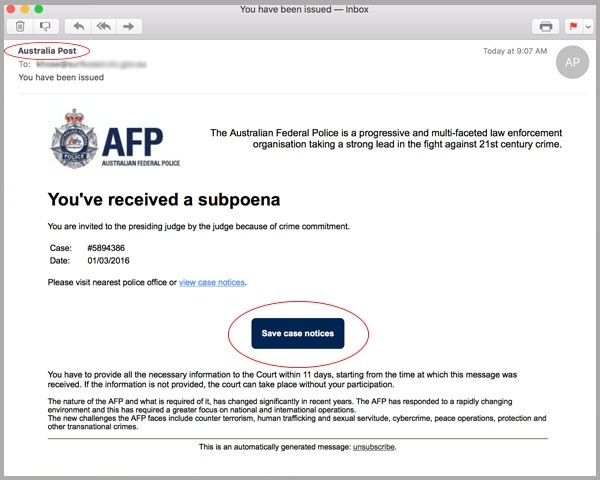 A new type of malware scam is emerging this morning, with cyber-criminals adapting their approach to bypass existing anti-virus and security measures.